Angel Terrero was raised in an abusive home and spent his teen years with gangs and criminal activities. Today, he is studying psychology in graduate school and serving as a minister at his church, thanks to the life-changing support he received from AMIkids Miami-Dade. "At AMIkids, I learned many lessons, including the value of discipline and respect,” he said. “Today, I believe you can achieve anything if you are willing to work for it." Since 1974, AMIkids Miami-Dade has been helping troubled kids like Angel discover their potential, transform their lives and embark on rewarding careers. "Before entering our program, many of our students never had anyone invest in their academic, social, or professional success,” said Corey Lee, board president. AMIkids Miami-Dade provides services to over 300 youth in Miami-Dade County on its north and south campuses, using an evidence-based personal growth model to address their educational, behavior, and treatment needs. Students from age 13 to 18 take classes, participate in vocational training and engage in meaningful community activities. They spend an average of three to six months in the program. The AMIkids Miami-Dade Masquerade Party Fundraiser will be held October 21 from 6 to 10 p.m. at the Marenas Beach Resort, 18683 Collins Avenue, Sunny Isles Beach. 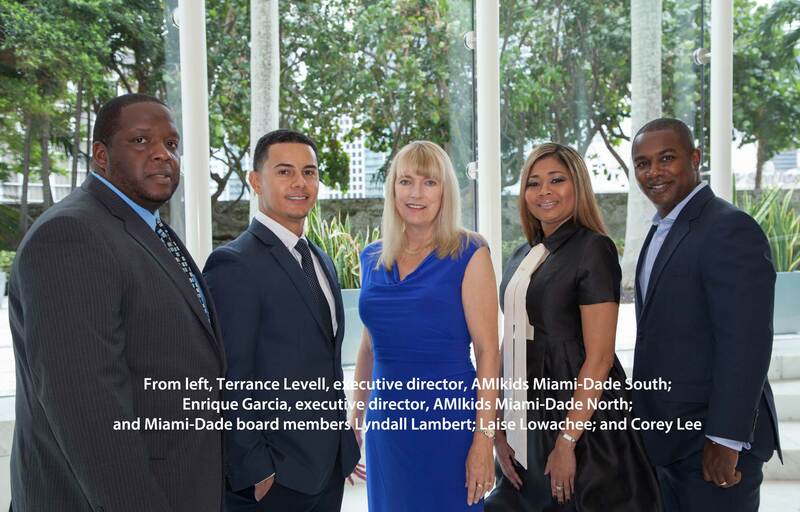 Visit www.amikidsmiamidade.org for more information.